Albany, NY - May 25, 2016 - Governor Andrew M. Cuomo today announced the launch of an aggressive public awareness campaign to educate New Yorkers on the dangers of the Zika Virus. The campaign’s launch marks the latest step forward in implementing the Governor’s comprehensive six-step action plan to combat Zika. Already, more than 7,000 larvicide tablets have been distributed to eliminate Aedes mosquitoes potentially carrying the virus. Additionally, New York City and the 57 other counties in New York have all received approval from the state Department of Health on local Zika action plans. 1. Eliminate Zika at its Source. To eliminate mosquito breeding sites, the state will distribute 100,000 larvicide tablets throughout the target region. More than 7,000 tablets have already been distributed to municipalities in the downstate area. Additionally, local counties, residents and business owners will be challenged to host clean-up days that effectively eliminate standing water. Residents can request tablets by calling 1-888-364-4723. One larvicide tablet lasts one month. 2. Aggressively Monitor the Aedes Mosquito with Special Trapping and Testing. Pictured is the Zika protection kit. Photo: Governor Cuomo's Press Office. 3. 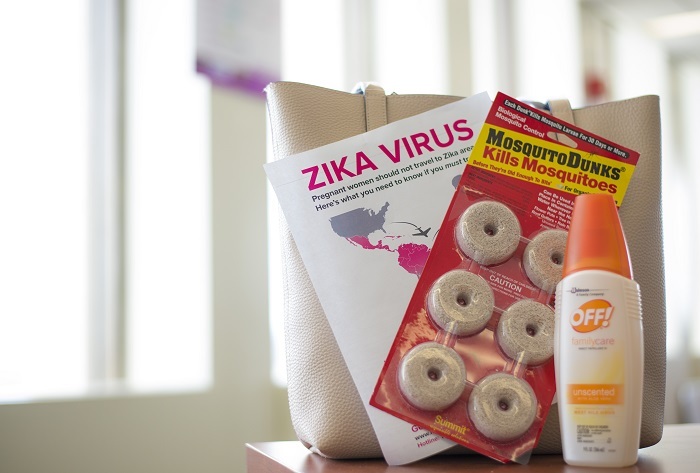 Provide Free Zika Protection Kits to Pregnant Women. 4. Deploy Rapid Response Teams Wherever Local Transmission is Confirmed. The state will deploy rapid response teams wherever a case of Zika transmission by an Aedes mosquito is confirmed. The rapid response team will be composed of officials from the State Department of Health and the Department of Homeland Security and Emergency Services Office of Emergency Management to inspect surrounding areas, perform additional treatment and develop a local action plan. 5. Issue Emergency Regulations Requiring Local Zika Control Plans Upon Zika Confirmation. The Commissioner of DOH issued emergency regulations requiring all local health departments to submit Zika action plans with updated protocols for trapping, testing and control. The state Department of Health has approved plans in all 58 counties in New York State. 6. Launch Statewide Public Awareness Campaign. The state has launched an aggressive public awareness campaign targeting New Yorkers across the state, as well as international travelers from Zika-affected areas. A website dedicated to the Zika Virus.